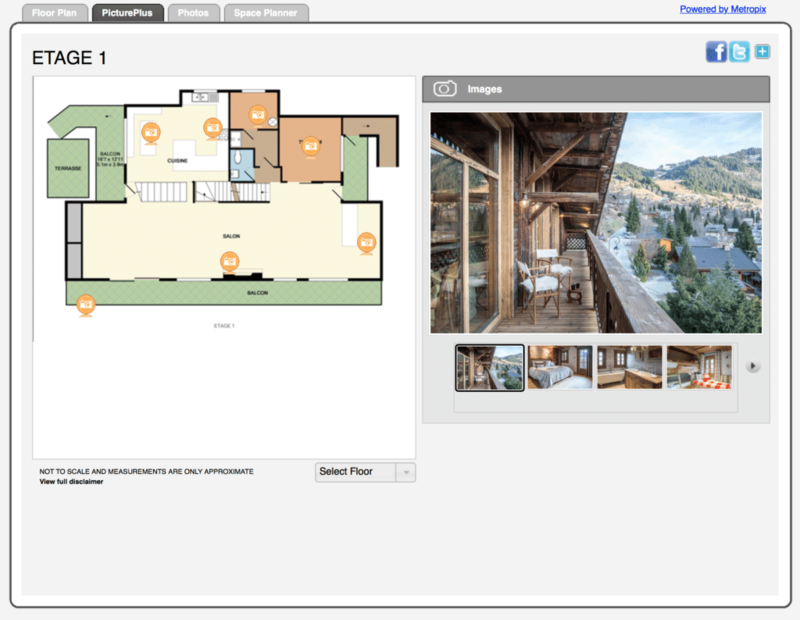 Use the arrows or swipe across to cycle through the floor plans. The main entrance to the chalet is at the front with stairs leading up to the bedrooms, the living area and the mezzanine. All the rooms on the bedroom floor have access on to a balcony or to terraces at either side of the chalet. The hot tub and children's play chalet "Crystal de Neige" are located to the left of the plans. The chalet interior has been styled in a traditional old-wood finish, complemented by contemporary amenities such as underfloor heating, large rose showers and Sonos speakers. Each of the bedrooms and bothrooms is individually designed. While in the winter the chalet provides a large and cosy retreat from the winter air, in the summer time the balconies and patios give fabulous access to the gardens with beautiful views across the valley. With a west facing profile the chalet benefits from shunshine throughout the day. View the interactive floor plans by following the link here. Click on the camera icons to see the views inside and outside the chalet.